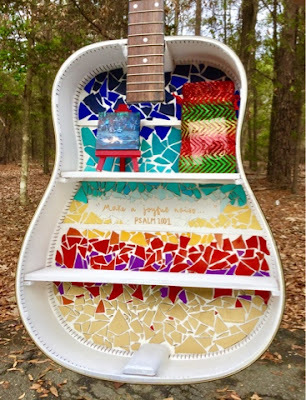 Look at this cool guitar shelf! 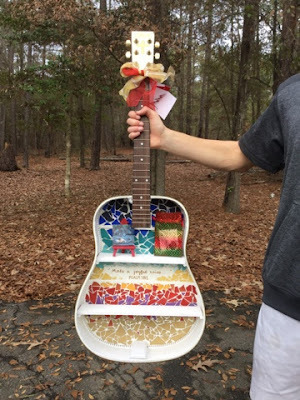 Oh boy, I just love it…My son’s girl, Anna, made the guitar and gave it to Rob for Christmas. You see, Rob is a guitar player and an artist. Check out these links to see some Rob Art. 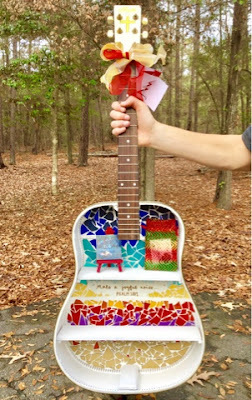 This guitar was just the perfect gift for Rob, folks! Here is a closer look. The mosaic you see is broken painted records. Nice, huh? These two kids have been hanging out for a few seasons. 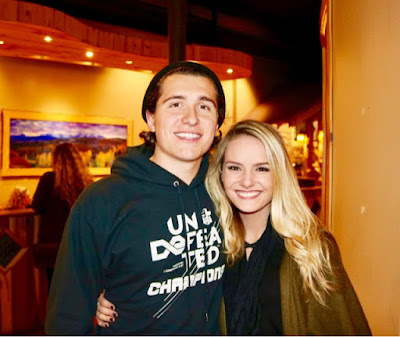 They met at Winshape Camp in Rome, Georgia. WinShape Camps is where thousands of campers come together each year to experience life-changing awesomeness! Created by the founder of Chick-fil-A™. These camp counselors came together and been together ever since. I just love handmade gifts. They are the best. When you give something that you made away, it is more than just a gift. 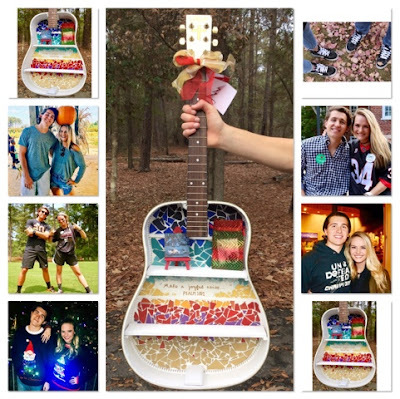 A DIY gift is a part of you that is shared with another and no one else. Nothing better, I tell you. Rob shares his artistic side with his music. Here is Rob singing his song “Bulletproof” at a coffee shop in Macon, GA.
Oh yeah, one more thing. Happy Birthday, Rob!